Less a film than an anarchic rummage through the possibilities of the medium, this truly mind-blowing one-of-a-kind experimental art-horror explosion embeds a family drama within a coming-of-age story within a spookhouse tale within a ghost story. As its seven final girls get zoomed in upon; recolored by gels or re- (or de-) costumed; shot from above, below, or in slow motion; disembodied via animation or matte work; or trapped by props, the proceedings leave us profoundly disturbed, not by their supernatural shenanigans and lakes of fake blood, but by the ways in which film narrative can recreate the painful separations, unrequited loves, and fears of the dark of our childhoods, and the marvelous way the fragility of film stock and the tricks of cinematography can, in the hands of the playful or malicious, do so much damage to our own bodies. 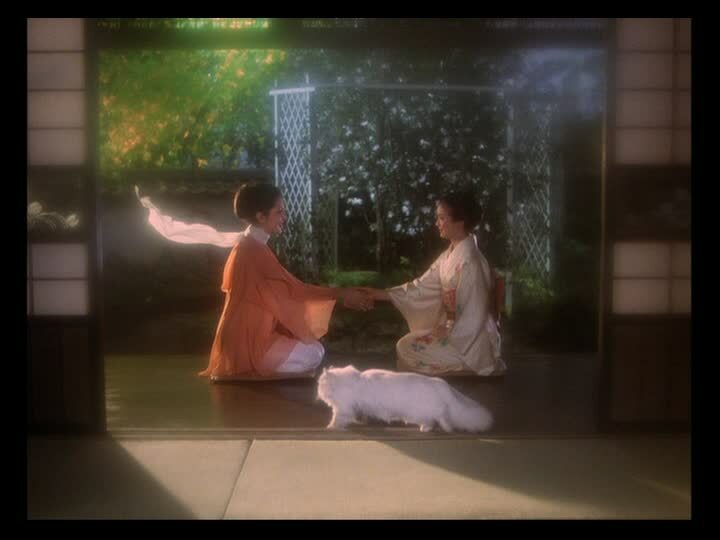 This entry was posted in Film and tagged 1970s, Hausu, House, Japan, Nobuhiko Obayashi. Bookmark the permalink.